While these numbers do not seem unreasonably high, I am suspicious how reliable they could be. How would the government, or anyone, be able to accurately estimate the numbers for a population that is likely trying to hide their presence? Do they simply assume that the census counts are correct and that illegal immigrants are properly self-reporting their numbers to census takers? And if so, is there any evidence to support that kind of assumption? - is subtracted from the total foreign-born population. 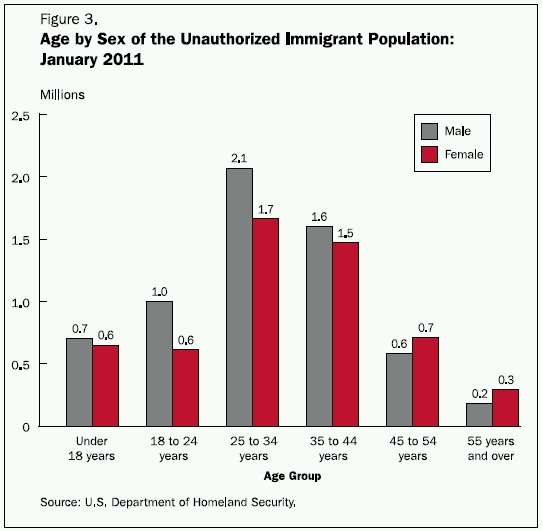 Data to estimate the legally resident population were obtained primarily from the Department of Homeland Security (DHS), whereas the American Community Survey (ACS) of the U.S. Census Bureau was the source for estimates of the total foreign-born population. 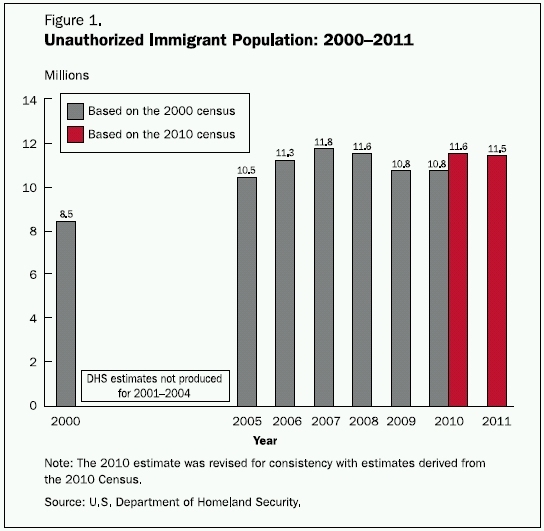 In summary, an estimated 11.5 million unauthorized immigrants were living in the United States in January 2011 compared to a revised 2010 estimate of 11.6 million. In general, caution is recommended in interpreting changes in the size of the unauthorized population presented in this report. Annual estimates of the unauthorized immigrant population are subject to sampling error in the ACS and considerable nonsampling error because of uncertainty in some of the assumptions required for estimation (see Limitations below). 2) the legally resident population on the same date. The unauthorized population is equal to 1) minus 2). For more detailed information about the estimates and their limitations click the link above. Not the answer you're looking for? 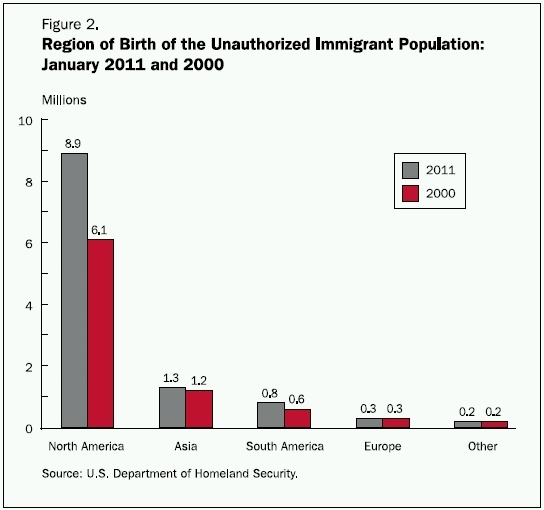 Browse other questions tagged united-states population immigration .